Today was a magical day. 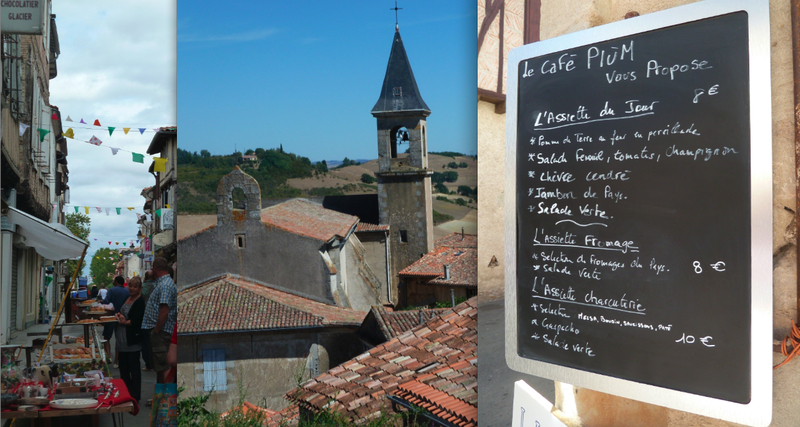 Almost as good as the farmer’s market in Revel, finding ourselves in medieval Lautrec or dining al fresco at Le Cafe Plum. Our school librarian’s blog was publicized (in a most amazing and professional manner) and received a flurry of comments. And we interviewed 7th grade teachers and learned about mouthwateringly beautiful assignments – from learning to sing and breathe around stress, to discovering how math works by measuring the wind – to clusters of students creating a video response to the parental query, “How was school today?” and more . . . history students creating and curating an exhibit , “How it happened that we ended up in Los Angeles,” with maps, artifacts and oral histories of family members. If I could run clips from the reel of today’s interviews, you’d see unabashed passion, unbridled enthusiasm and genuine affection for the students. It was immeasurably satisfying. I learned that teachers are helping our students learn to make connections beyond themselves, in an engaging, unconstricted way. And that’s a pretty cool take-away from today. Just gorgeous, so happy you are having some fun. Missed the point… The worst book I ever read . . .